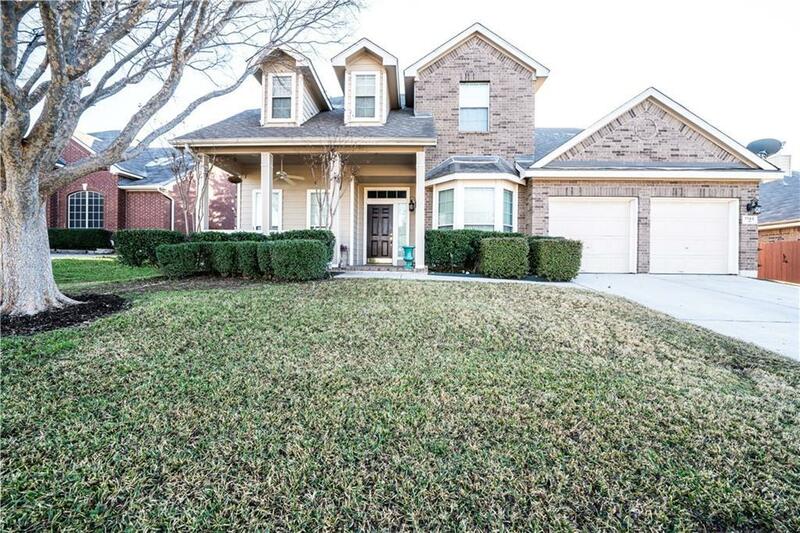 Wonderful family home in Keller ISD! Ideal location for schools and shopping. This home includes:four bedrooms, 2.1 baths, formal dining, formal living or study, game-room upstairs, and spacious family room! Kitchen layout is very functional and open to the family room. Updates include: carpet, interior and exterior paint, and flooring. The master bedroom is secluded on the first floor. Enjoy the community pool, clubhouse, playground, soccer fields, and volleyball pit.